An army officer who now wears the uniform of a prisoner. A corporate tycoon who sacrifices his all for one young soul. A boy ready to become an icon his generation, with a secret burning question of his own. What do these three have in common? The intense and powerful story of Shaheen Must Die brings in an unusual display of courage from a trio of unforgettable characters. This action packed book has twists and turns that traverse the army, the corporate world and the dark underbelly of a prison complex. 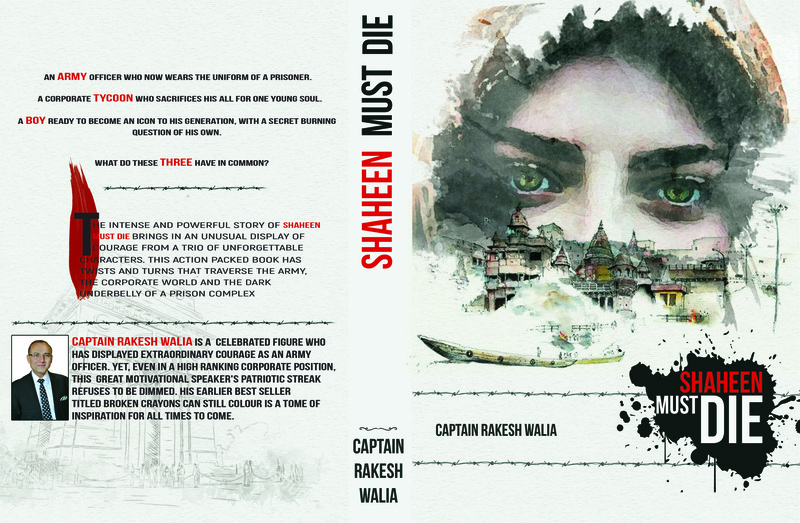 On the great occasion of #RepublicDay, we are proud to present the cover of “Shaheen Must Die”! What makes this cover an extra special one is the fact that this book has been penned by none other than celebrated public figure and ex army officer Captain Rakesh Walia. Having risen and succeeded amidst extraordinary challenges in life, he has carved a niche for himself in the highest corporate echelons and as a motivational speaker, after an illustrious military career. This book is his foray into the world of fiction literature. His first book Broken Crayons Can Still Colour is his autobiography. As a publishing house, And All in partnership with Writing Geeks, is proud to bring out this great man’s first fiction novel!